Entrepreneurship | Greater Fort Wayne Inc. 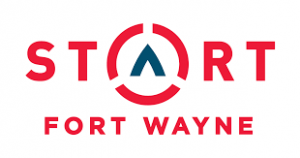 Located downtown, Start Fort Wayne is building a thriving entrepreneur and high-growth tech community in northeast Indiana. Start Fort Wayne fosters startups by providing collaborative workspace (The Atrium) and educational programming. 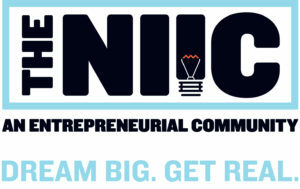 Located adjacent to Purdue University Fort Wayne and Ivy Tech Community College, the NIIC is one of the country’s top entrepreneurial resource centers and business incubators. The Innovation Center is the region’s “one-stop shop” for all entrepreneurial services: business development, access to capital, product innovation and commercialization services, marketing, research, training, mentoring, and coaching. A program of Indiana Tech, C3 project teams help entrepreneurs, inventors, and innovators create successful companies. The Center links clients together with a team of experts for each project, including expert mentors from around the community and experienced faculty from its schools of business and engineering. The Community Development Corporation of Northeast Indiana (CDC) is a City of Fort Wayne sponsored non-profit that provides alternative financing options to new and existing small business owners. Part venture capital fund and part entrepreneurial development partner, Elevate Northeast Indiana works to create sustainable cultures and infrastructure across Indiana that support the success of entrepreneurs. Formerly the Urban Enterprise Association, SEED Fort Wayne offers real estate and personal property tax benefits for commercial investments to enhance manufacturing, innovation, technology, and logistics. In 2018, the City of Fort Wayne expanded the Summit City Entrepreneur and Enterprise District (SEED) beyond its original urban core to include major commercial corridors emanating out of downtown. The district expansion doubled the number of businesses that qualify for the incentives. Junior Achievement empowers young people to own their future economic success by enhancing the relevancy of education, including entrepreneurship skill development. JA programs expose students to basic business concepts and the skills that enable them to understand real-life economics. Located on South Calhoun Street, one of the most diverse neighborhood corridors in Fort Wayne, the Penta C.S. Group is a Minority Entrepreneurial Center offering office space for rent, conference rooms, and assistance with business planning, budgeting, marketing, human resources, and professional coaching. 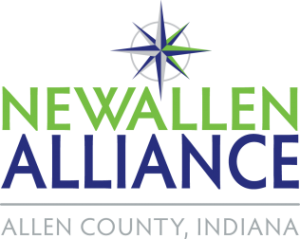 Serving the east Allen County communities of Grabill, Harlan, Hoagland, Leo-Cedarville, Monroeville, New Haven, and Woodburn, NewAllen Alliance provides low interest business loans, facade grants, and business education grants for local employers and entrepreneurs. Northeast Indiana Small Business Development Center (SBDC) provides entrepreneurs expert guidance in a variety of areas including planning, government registration, market analysis, advertising, exports, government contracting, and more. 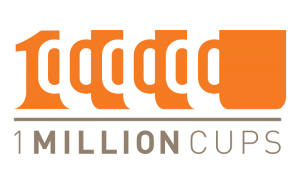 Developed by the Kauffman Foundation, 1 Million Cups is a free, national program designed to educate, engage, and connect entrepreneurs. Our local chapter hosts monthly coffee meet-ups for local entrepreneurs to present their startups to a thriving peer network of founders. Own Your Success (OYS) is a community of women entrepreneurs in Fort Wayne and northeast Indiana. Supported by an active online community, monthly events and programming, and an office space opening soon in downtown Fort Wayne, OYS’s mission is to provide a nurturing network and resource-rich programming and connections so that more women in our region feel empowered to start their own businesses. Our local chapter is platinum certified and has 50+ active mentors. SCORE offers free business mentoring, workshops, and numerous templates and tools for stating or growing a business. The Women’s Entrepreneurial Opportunity Center (WEOC) for Indiana is an Official Small Business Association (SBA) Women’s Business Center. WEOC offers timely and immediate assistance to women entrepreneurs at any stage in their venture path, from business idea and start-up through growth and expansion. WEOC was designed to understand and respond to the unique needs of women entrepreneurs. 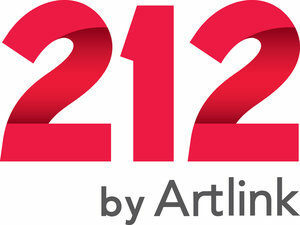 212 by Artlink’s mission is to advance artists with the inspiration, resources, and preparation they need to turn ideas into reality and to foster the creative economy in our region and the world. 212 offers shared studio space, production equipment, and mentorships for their artists in residence.